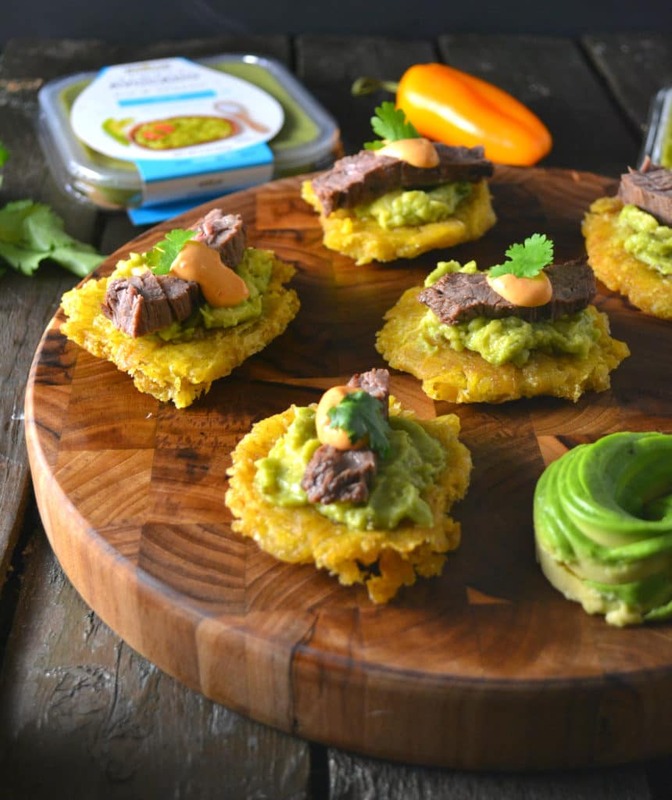 I love having quick, easy, delicious recipes in my arsenal, and these avocado and skirt steak tostones definitely fit the bill, thanks to WHOLLY® SIMPLY AVOCADO™! I’m a self describe avocado-holic, it’s definitely one of my favorite foods. But finding a perfectly ripe avocado right when you want it is almost impossible, I always end up having to wait days for my avocados to ripen, which drives me nuts. I always want avocado when I don’t have any at home, go figure. Now, that problem has been solved! WHOLLY® Avocado’s SIMPLY AVOCADO™ is a pure, wholesome avocado dip and spread with minimal flavor enhancing ingredients. 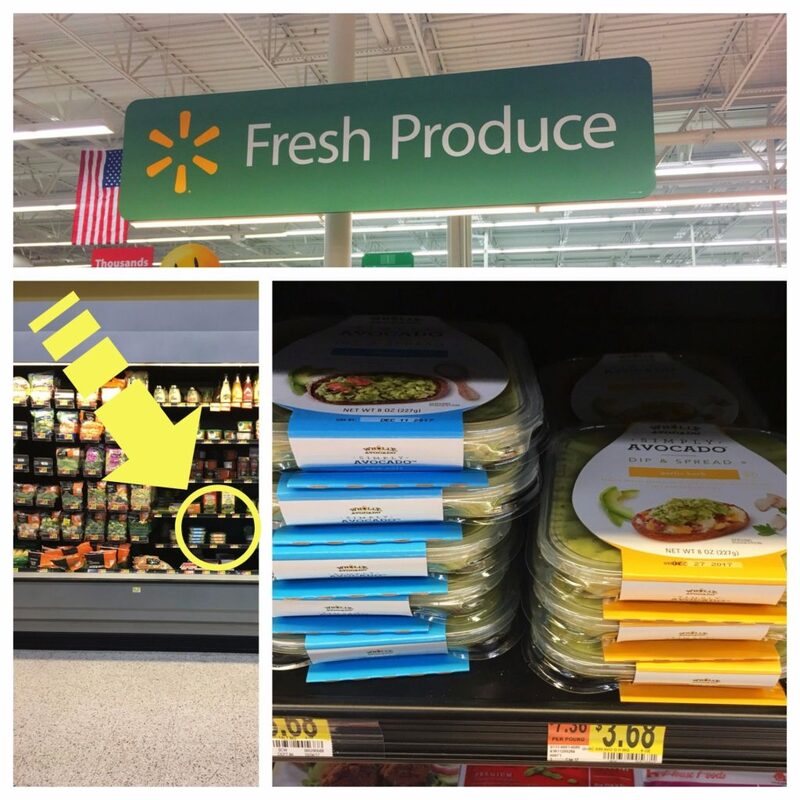 Available at your local Walmart‘s fresh produce section, these avocado dips offer the convenience of a fresh avocado without all the fuss. No cutting open an overripe avocado, no dangerous pits to remove, and no mess…what more can you ask for? 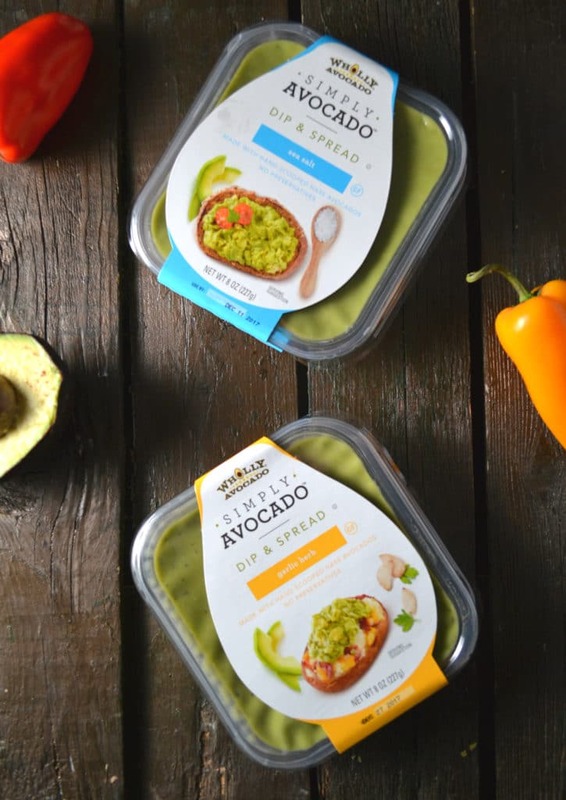 SIMPLY AVOCADO™ creates happiness and empowers because it provides simple deliciousness with convenience. You can see the chunky pieces of avocado in the dip, and it’s absolutely creamy and delicious. Keep these in your fridge and you’ll never have to worry about finding a ripe avocado again! 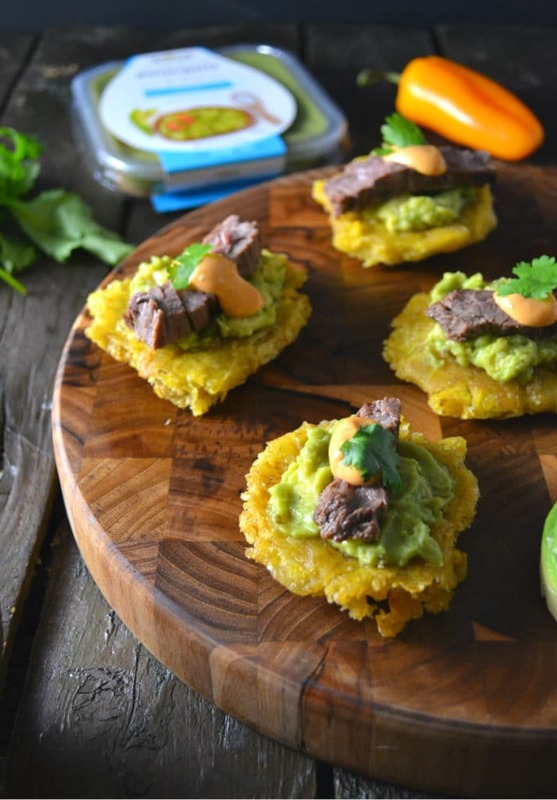 Now, let’s make these gorgeous avocado and skirt steak tostones. 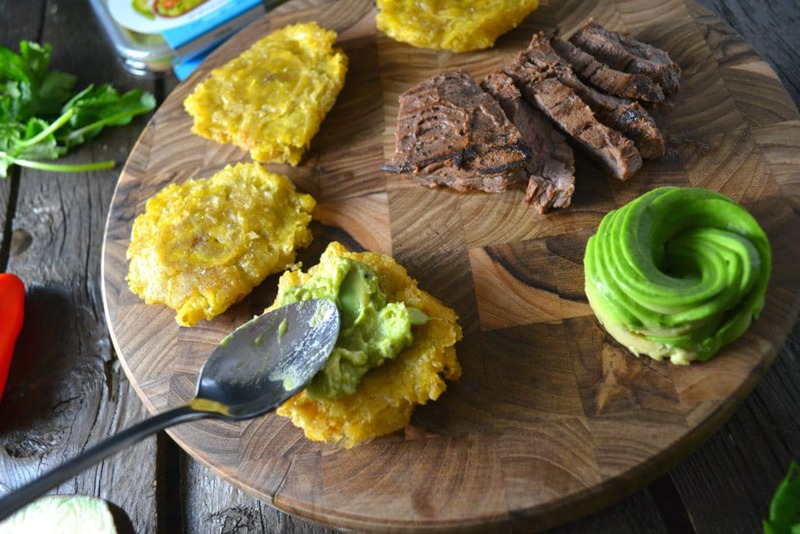 If you’ve never made tostones before, don’t worry. 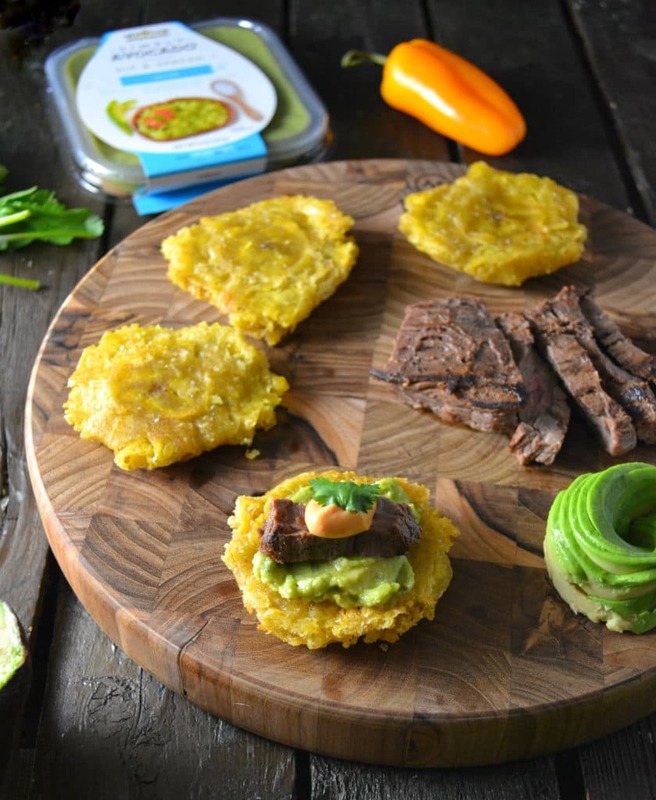 You can find my simple recipe for tostones here, or visit your local Latin/Hispanic supermarket where you’ll find them in the freezer section. Fry the plantains according to the package instructions, or follow my easy recipe here. 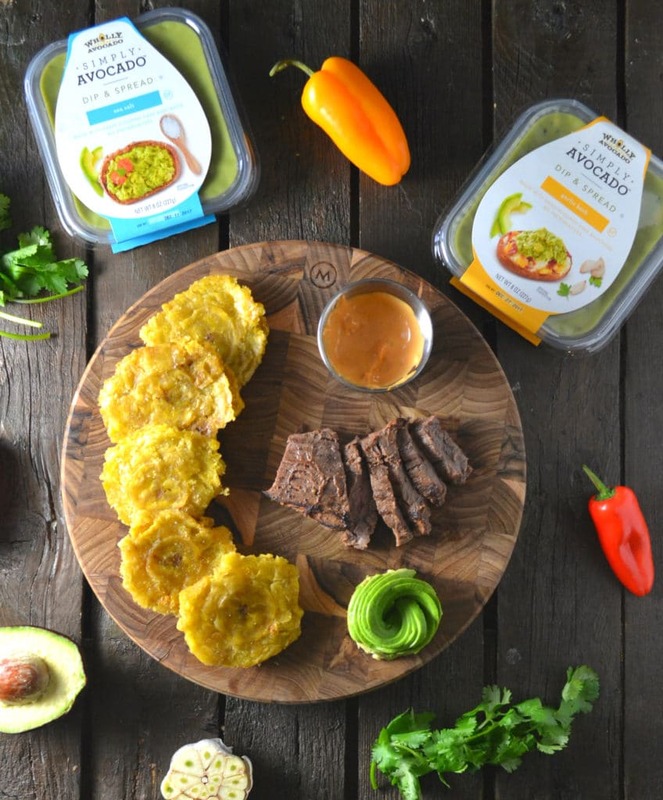 Top each plantain with a tablespoon of the WHOLLY® SIMPLY AVOCADO™ dip of your choice. Place a slice of skirt steak on top of the avocado dip, then add a dollop of chipotle mayo. 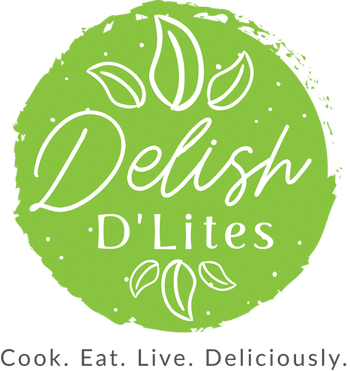 Garnish with cilantro, and serve hot. 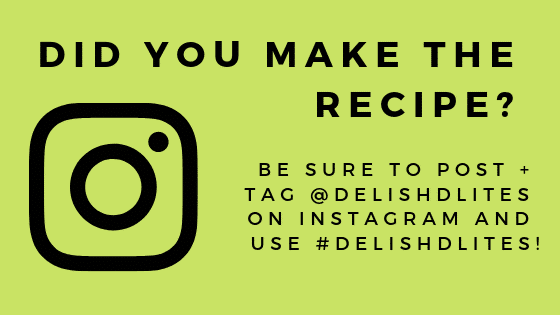 You can find more recipe ideas and inspiration using WHOLLY® SIMPLY AVOCADO™ here and, be sure to follow them on Facebook,Twitter, Youtube, Pinterest and Instagram!